Hill+Knowlton Strategies (H+K) Singapore has strengthened its senior team with the appointment of Thomas Goh as Senior Director of Creative Content and Digital Innovation. Goh joins H+K with close to twenty years of business and marketing experience spanning digital content, social strategy, performance marketing, programmatic, and mobile marketing. Hailing from senior marketing roles with blue-chip brands like Citibank, Singtel and Skype to more entrepreneurial roles across digital agencies like Ogilvy, CXense and most recently Havas (Head of Digital for Singapore and Malaysia), Goh brings deep digital experience, grounded in strong business development capability. His past multi-market roles have seen him lead teams and campaigns across the Asia Pacific region to great success. 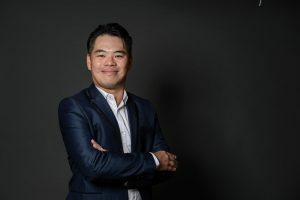 He has helmed award-winning campaigns including Singtel Hawker Heroes, SingTel Omni Channel Retail Transformation Project, and Skype Experiential Showcase, always bringing innovative change in a rapidly changing digital landscape. Goh graduated with a Masters in Banking and Finance from University of Southampton and Undergraduate Degree in Economics from the University Of Technology Sydney. Goh also served as an adjunct lecturer at NUS-ISS imparting his digital and social knowledge to the next generation workforce. In his down time, Goh is active in the start-up scene, actively consulting to budding entrepreneurs.